Is onion bad for dogs? →Is onion bad for dogs? We all feed our dog table scraps and human treats and we know we shouldn’t. It’s so hard to resist that lovable face pleading for you to share your goodies. Most pet owners know of the harms of chocolate, but many other foods can cause harm to one’s precious pooch. There is growing concern in the dog community about which foods are harmful, and how much damage a given food can cause. After talking to my friends about what foods are bad for dogs, we all came to the same realization – that we didn’t know how bad onions are for our dogs. This article primarily looks at The Not-So-Innocent Onion and other members of the Allium family. After reading this article, I hope you will have a better understanding of how badly these little delights affect our dogs. Now you’re thinking, why would my dog eat onions? The answer is, dogs will take anything you give to them as long as it smells good and taste good…. to them. He will sneak a piece of yummy pizza. Might be attracted to that potato salad or dip sitting on the picnic blanket. The smell of a hamburger can be irresistible. You might leave the remains of a bowl with leftover stew for your buddy to lick clean. And the draw to dig up the leeks in the vegetable garden can be overwhelming for some. There are many reasons why a dog will consume this little devil. Chives, shallots, green onions, onions, leeks, and garlic are all included in the Allium family. It’s hard to tell what a pooch has gotten into. They can’t talk and probably won’t want to tell you what they have gotten into anyway. They’re dogs; they like that kind of stuff! Their symptoms might simply be a sour stomach causing vomiting after eating sticks and grass! Needless to say, if your dog is showing any of these signs and symptoms, take him to the vet as soon as possible. I know these are general symptoms your dog may display, but it’s best to err on the side of caution and not risk severe illness or death. Just as with humans, onions can cause a multitude of problems in animals. Gas and bloating are our least worries. Dogs’ symptoms can range from a mild reaction such as an upset stomach, to more severe reactions such as liver toxicity or death. Surprisingly, it really doesn’t matter if your dog ingests raw or cooked onions; even dehydrated or powdered onions such as in soup mixes can cause harm. It all depends on how sensitive your dog is to the Allium family. Similar to human allergic reaction with eating peanuts, some dogs can have more sensitivity than others. A general rule is a dog that ingests 5-15 grams / kilogram is at risk for a toxic reaction; it’s less for cats. Basically, that is 0.5% of their body weight which can be the tiniest diced portion known to man. Garlic is 5 times more powerful than onions, so Fido would need less to initiate a reaction. A mild reaction can go unnoticed, with only a few red blood cells being lysed (damaged). A moderate reaction might leave a dog lightheaded or lethargic, which might easily go unnoticed by the owner. But with a severe reaction, your dog can show signs and symptoms of vomiting, diarrhea, heavy panting, and jaundice (yellow coloring to the gums and eyes). The jaundice occurs due to liver damage and may take several days to develop. The cause of all the trouble is found in the onion flesh called Thiosulfate. Once the onion is eaten, thiosulfate breaks down to organosulfur in the GI tract. 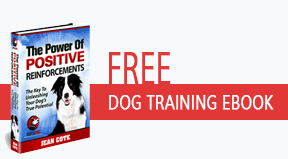 Your precious pooch does not have the enzymes to digest this compound. Now organosulfur reaches the red blood cells and oxidizes hemoglobin component. As we all know from school, the hemoglobin molecule carries much needed oxygen to every cell. Once oxidized, clumping exists and makes oxygen molecules unable to transfer across to vital cells. Under a microscope, this looks like tiny purple clumps…. the tell tale sign of onion toxicity. This is the most severe reaction: Heinz Body Anemia. You can diagnose this by looking at his gums and mucous membranes. No oxygen, no color! The gums will instead be pale. The dog will also have dark or reddish brown colored urine due to the elimination of these damaged red blood cells, and a rapid heart beat due to increased demand for oxygen to starved cells. Sudden onset of weakness, fatigue, and lack of interest in food can follow. Deb LaPaugh, of La Paw Animal Hospital (yes, that’s her name! Fitting for a veterinarian) is concerned about an animal that looks jaundiced, shows signs of weakness, and is peeing blood. She mentions if a dog comes into the vet with these symptoms, the usual course of action will be blood work and a physical examination. 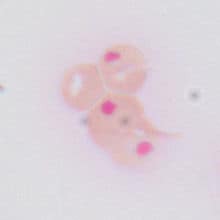 A CBC (complete blood count) can reveal the severity of any loss of hemoglobin and a blood smear to show the clumped red blood cell. The dog would be placed on supportive care such as giving IV fluids and keeping the dog over night in the hospital for observation. From here the vet can determine if more drastic measures need to be taken. 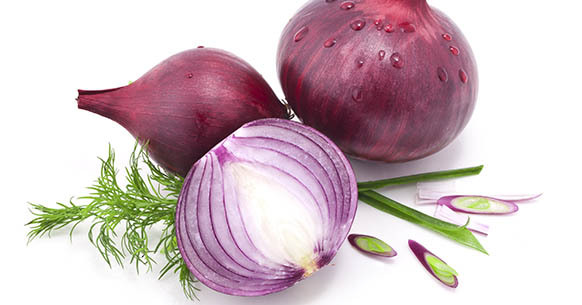 Early stages of onion toxicity can be treated easily with supportive care and detoxification such as special vitamin C mixture to help counteract the poison. The later stages would include additional treatment such as supplemental oxygen and blood transfusions. The dog would then be monitored for several more days. Deb LaPaugh states she has seen cases where the dog has stayed hospitalized for over one month. Onions can have costly consequences, but your furry friend will most likely recover from his misfortune. Next time reconsider feeding your dog extra goodies form the table. I would rather have a skinny healthy dog than a fat sick one. In the future we will look at other foods that might cause a potential reaction. Lynn Albrow has two dogs, both Canine Good Citizens and (TDI) Therapy Dog International certified: Lola, a Mcnab (Border Collie Cattle dog mix) and Cole, a Border Lab. Lynn’s passion in training got started when in obedience class with Lola. She currently participates in Agility trials. Her dogs volunteer at one of the local retirement communities where Lola usually puts on a show and Cole has a more relax and soothing approach for therapy. Wow, didn’t know this and so happy to know this now – thank you! Iunderstand onions are toxic to dogs–and garlic being more potent than onions is even more toxic to dogs–but why do they put garlic powder in a lot of pet foods–and I am not referring to your low quality kibble, but some of the more respected higher quality dog foods. Is garlic or onion, as long as it is in powder form, safe for dogs, or is it just as toxic in powder form. I would imagine it would be for the smell. The amount used in an entire bag of kibble might be so small that it is considered “safe”. I don’t agree with having any onion in dog food. I believe they do that for cost and selling not if it is good for your dog. So, it depends on your dog and how sensitive he is to thiosulfate. I listed a website for you to check out regarding quality store bought dog food (dry and soft). It lists the top brand dog food and ingredients. I use Arcana (it’s not in the list) but took awhile to get it right . One of my dogs had a very “gassy” stomach. This one works well for him. I wanted to stick with nature ingredients. So, I was wondering if one could give food that’s in the same dish as an onion, or any given one of the allium family; say, if an onion is cooked with liver, would I be able to give my dog the liver, without him being poisoned? Or would by dog succumb to thiosulphate poisoning in the liver, too? Andrew , good question, from my research, if your dog haa any part of the meal , such as just the liver, than he can have a reaction. Now it depends on the tolerance your dogs has to the onion family. You dog might be one that will not have a reaction. Or he might be one that is highly sensitive. I’d rather not find out myself.